The only thing better than a Loeffler Randall Friends & Family Sale? Getting early access with our exclusive discount code! The beloved brand, known for its stylish, well-made footwear and accessories, is doing your fall wardrobe a major favour by granting you first dibs to receive 20 per cent off their wares. Simply use the promo code WWWFRIEND at checkout to get a discount on their must-have boots, bags, and more before everyone else. Swipe down to get a first look, and don’t forget to use WWWFRIEND to get 20 per cent off at checkout! 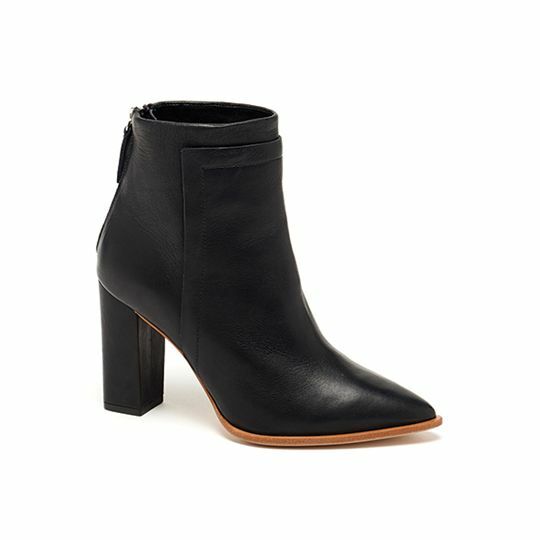 You’ll get plenty of mileage out of these versatile pointed-toe boots. Pair this Mary Jane-ankle boot hybrid with tailored culottes for a chic statement. Elevate your sneaker game with this luxe leather version. The burnt butterscotch hue of this flat riding boot gets us giddy for fall. Team these colour-blocked knee-highs with skinny jeans and a knit turtleneck for chilly days. This stacked-heel boot in a neutral shade is a daytime dressing staple. A subtle scalloped inset gives a little extra flair to these slip-on boots. We all know backpacks are the bag to own this season, so why not make it this shearling one? We suggest snagging this spotted clutch, which comes with a gold chain strap, for your next GNO. A boxy bag in forest green is a great way to introduce rich fall colours into your wardrobe. This mini cross-body purse is an ideal day-to-night option. This grey handbag’s structured shape makes it the perfect office companion. Want to add even more Loeffler Randall pieces to your fall shopping cart? Click HERE and don’t forget to use the code WWWFRIEND.